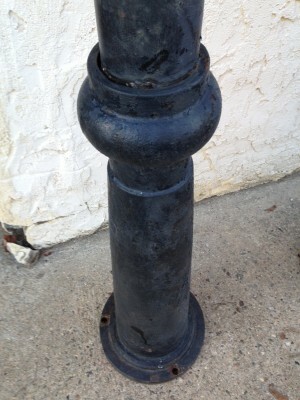 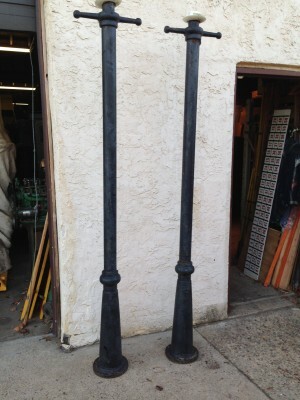 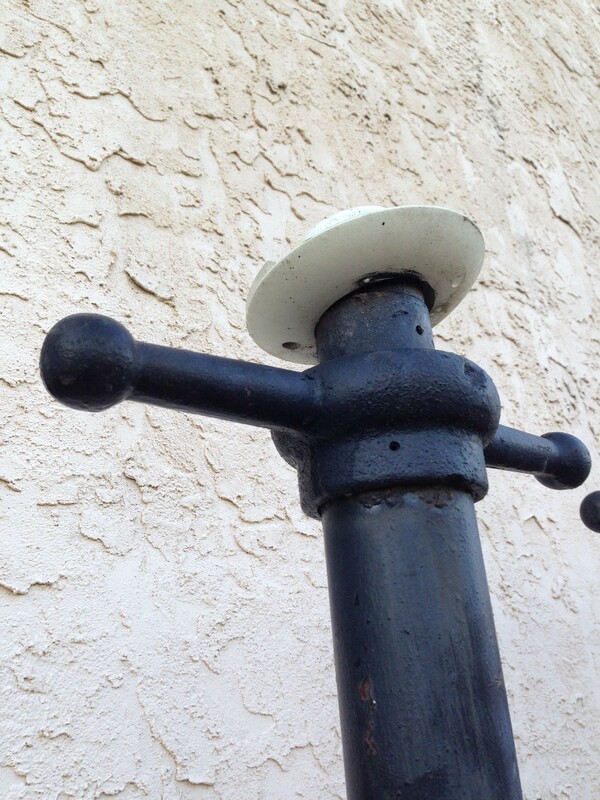 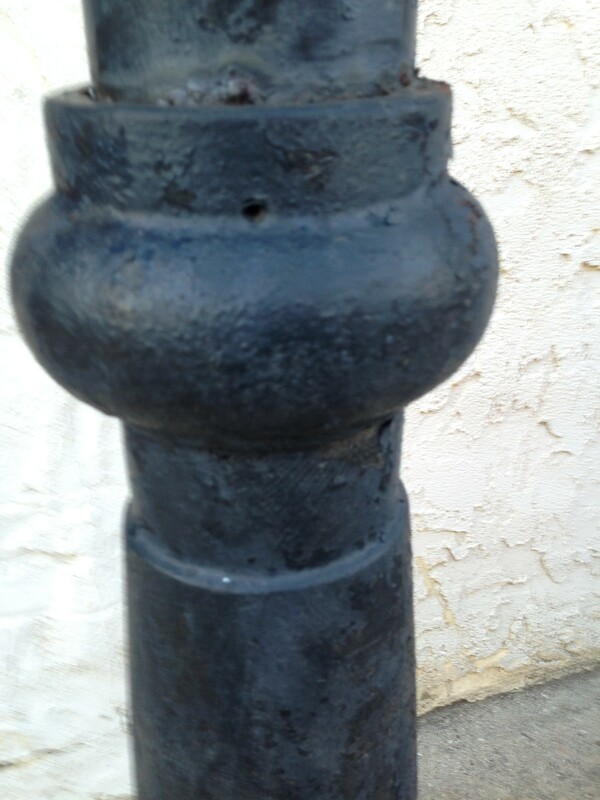 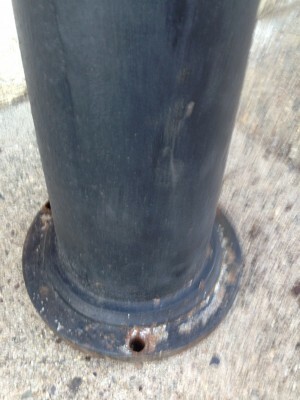 Early vintage cast iron heavy street light pole posts in as found condition. Measures about 7′ tall and will need a new fixture attached. 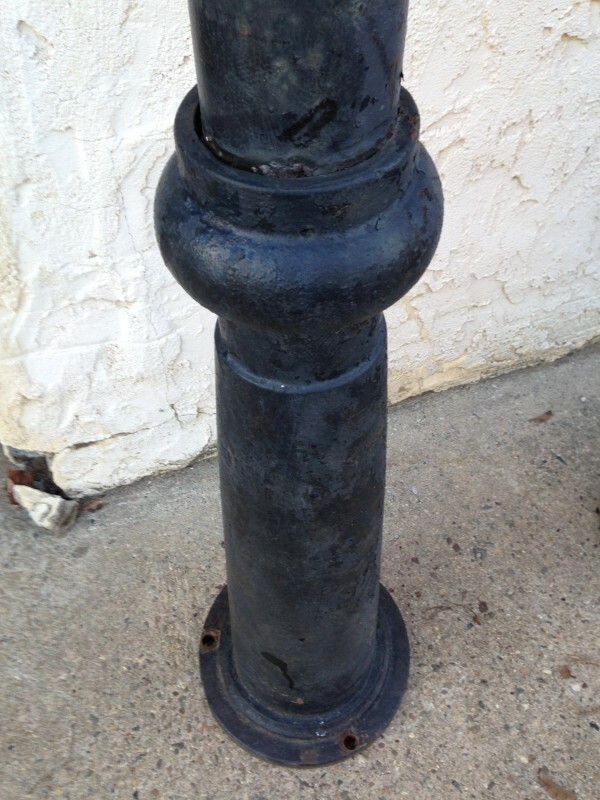 Overall condition good with no damage or rot. 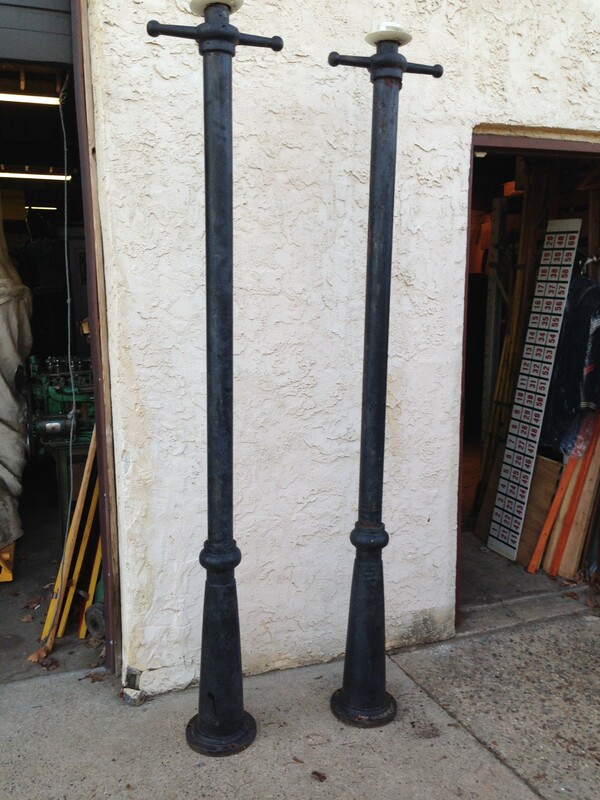 Buy one or both, it’s up to you……….